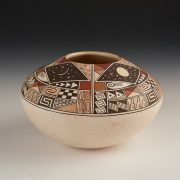 Karen is well known for her pottery which feature shard designs. 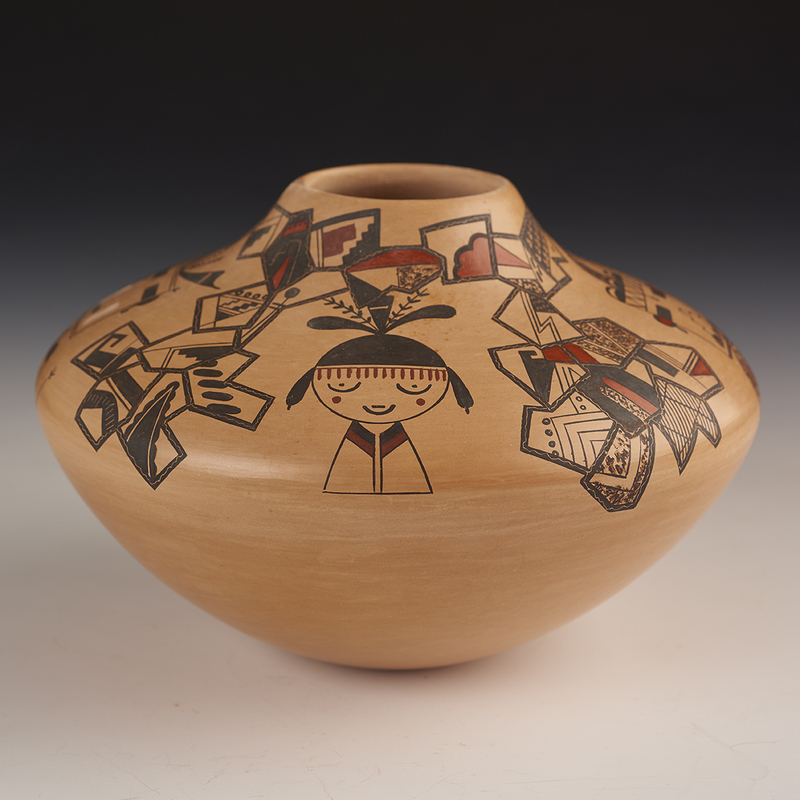 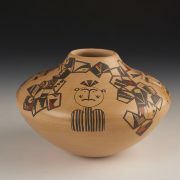 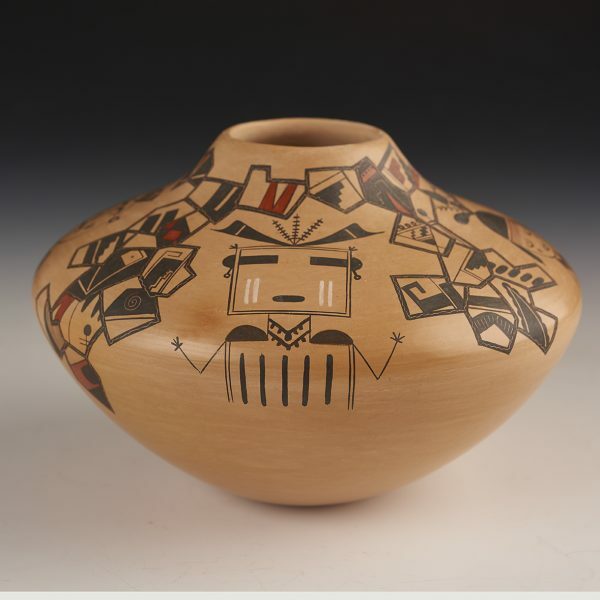 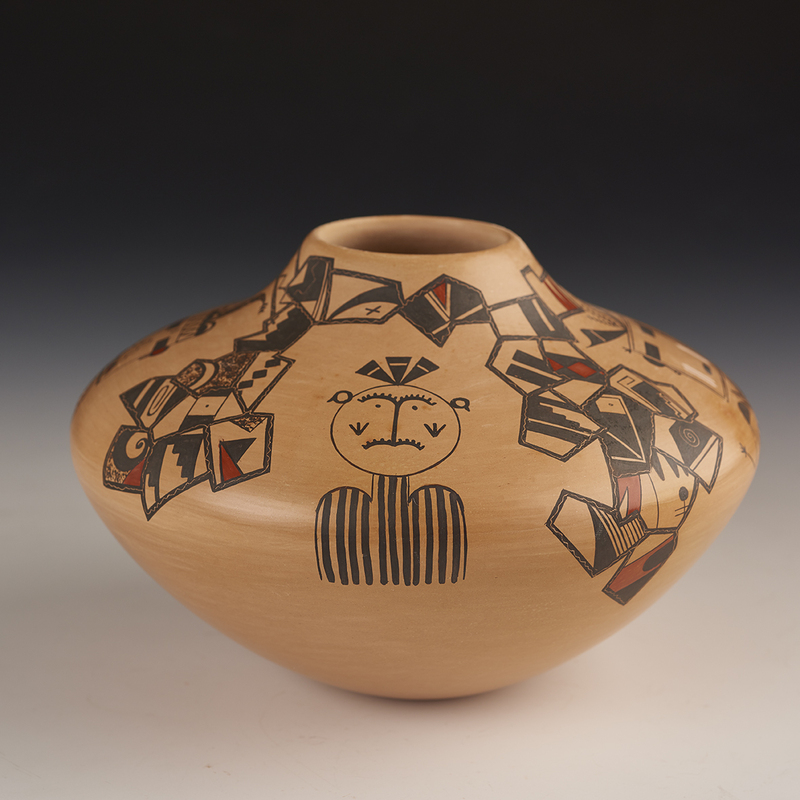 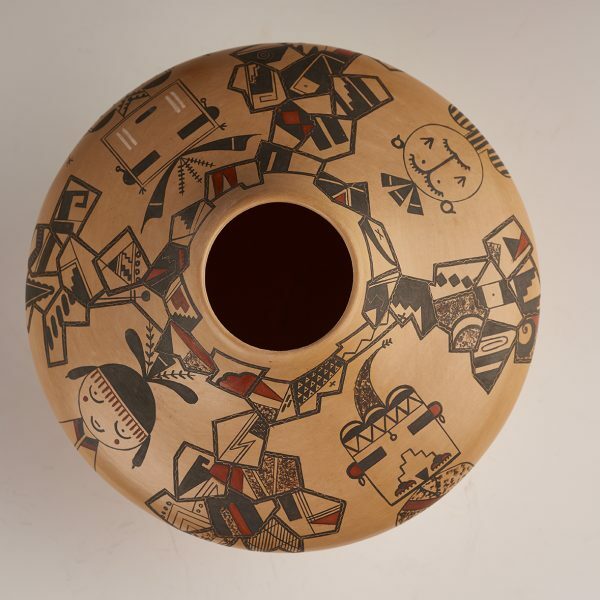 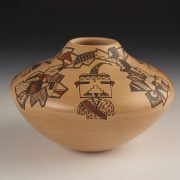 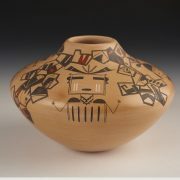 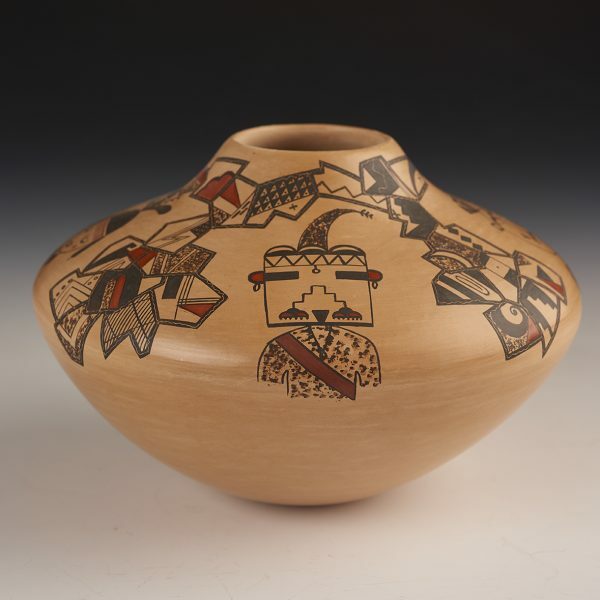 Here she has combined shard designs with her interpretation of four Hopi Kachinas. 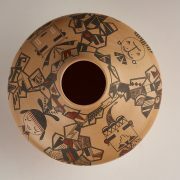 Her fascination with prehistoric shards comes from her frequent walks to the prehistoric ruins of Sikyatki. 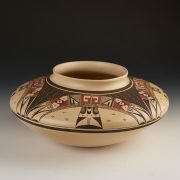 Karen says that when she needs to take a break from the detail of painting her pottery, she hikes about two miles to the ruins. She wanders through the piles of ancient, broken pottery and gets her ideas. 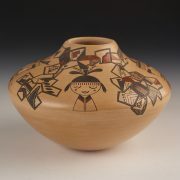 On the side view image on the left, she shows the Mother Kachina ( Hai-Hai-I Whuti) In the top view image, left side is the Water Cloud Kachina ( Kuyi Aomao) Center is the Storyteller Kachina (Quoklo) On the right is the Twin Warrior Kachina (Pakohonghoya) There is a lovely placement of the shards and the Kachina images.